Clarksville, TN – Austin Peay State University women’s soccer team looks to carry its momentum from Friday’s win into a 2:00pm, Sunday Ohio Valley Conference match against Southeast Missouri. The game will be broadcast free on www.OVCSports.tv. 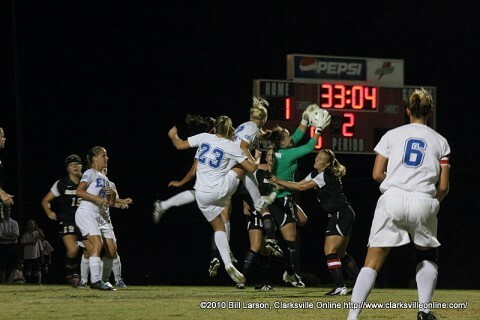 The Lady Govs ended a 15-game OVC winless streak with a 1-0 victory against Eastern Illinois, Friday night. Not only was it the first league win in almost two years, it also was the team’s first-ever win against the Panthers. Freshman Tatiana Ariza, the team’s offensive leader, scored the only goal when a powerful shot bounded off an EIU defender in the 29th minute. 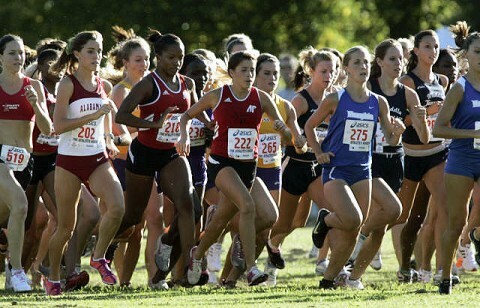 Memphis, TN – Missing its number two runner, Austin Peay State University women’s cross country team struggled to a 23rd-place finish at the Brooks Memphis Twilight Cross Country Classic hosted by Christian Brothers at Mike Rose Stadium. The Lady Govs finished with 614 points to finish 23rd in the 32-team field and fifth out of the five Ohio Valley Conference teams in the field. Stephen F. Austin won the women’s event with 60 points. 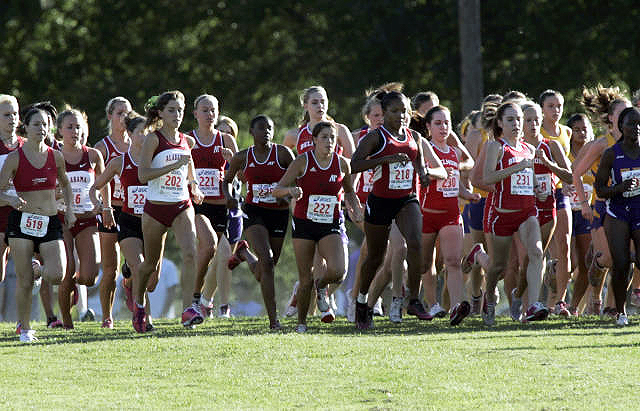 Freshman Xiamar Richards led the Lady Govs, finishing 81st in the 256-woman field with a time 19:34.48. Freshman Kendra Kirksey was a close 86th with a time of 19:38.84. Memphis, TN – Austin Peay State University men’s cross country team continued to have difficulty at the eight-kilometer distance, finishing 17th at the Brooks Memphis Twilight Cross Country Classic hosted by Christian Brothers at Mike Rose Stadium. Madison, WI – Austin Peay State University’s football team had few answers for nationally-ranked Wisconsin, falling 70-3 in non-conference action, Saturday afternoon, at Camp Randall Stadium. 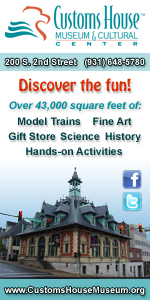 Football Bowl Subdivision No. 10/11 Wisconsin (4-0) scored on all seven of its first-half possessions and accumulated 418 yards in the opening half, putting Austin Peay in a hole it could not dig out of. 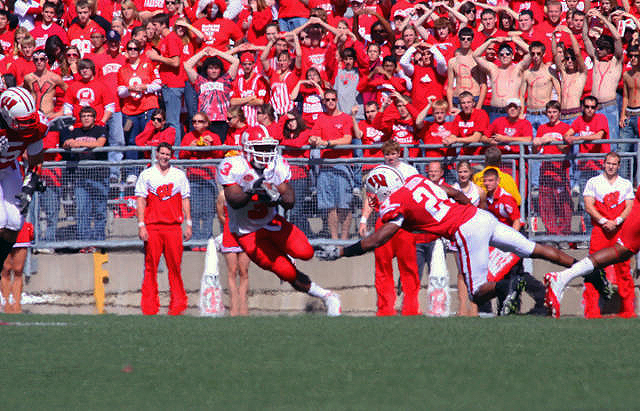 The Badgers scored on each of their third-quarter drives before the Govs forced a punt on their first possession of the fourth-quarter. Cookeville, TN – Sophomore Nikki Doyle posted 14 kills to lead Austin Peay State University’s volleyball team to a three-set sweep (25-13, 25-19, 27-25) of Tennessee Tech in Ohio Valley Conference action, Friday night, at the Eblen Center. Austin Peay (12-2, 3-0 OVC) got good performances both offensively and defensively. 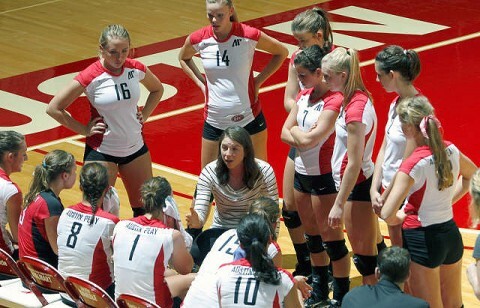 The Lady Govs offense recorded 43 kills and a .284 attack percentage. Meanwhile, the defense registered 50 digs and six blocks to hold the Tennessee Tech offense to 29 kills and a .084 attack percentage. Clarksville, TN – A win streak is extended for Austin Peay State University women’s soccer team as a dire streak is ended in the Lady Govs 1-0 Ohio Valley Conference win against Eastern Illinois, Friday night. It was the sixth-straight home win for the Lady Govs, improving them to 9-2 overall with a 1-0 league record. More importantly, the win ended a 15-game stretch without an OVC win, the last coming September 26th, 2008 against Jacksonville State. 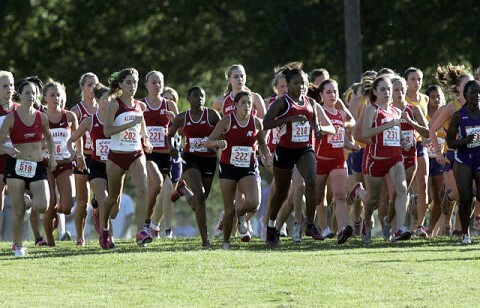 Clarksville, TN – Fresh off an impressive showing last weekend, Austin Peay State University women’s cross country team will attempt to keep its momentum going when it competes in the five-kilometer race at the Brooks Memphis Twilight Cross Country Classic, hosted by Christian Brothers, beginning at 8:20pm, Saturday, at the Mike Rose Soccer Complex. Although still searching for a No. 5 runner to close the gap with the front four, the Lady Govs quietly impressed at the Old Timers Classic last weekend, defeating three of the four Ohio Valley Conference schools competing at the meet. 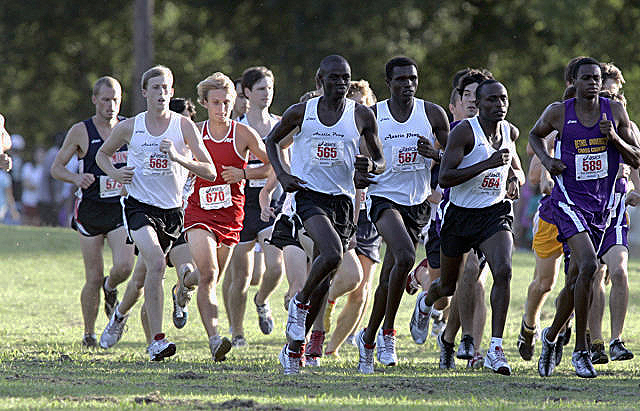 Clarksville, TN – A week after a disappointing finish in its first eight-kilometer race, Austin Peay State University men’s cross country team will tackle the eight-kilometer course beginning at 9:00pm, Saturday, in the Brooks Memphis Twilight Cross Country Classic, hosted by Christian Brothers at the Mike Rose Soccer Complex. The Govs faltered late at the Old Timers Classic last weekend, surrendering several positions in the final 2.5-kilometers and falling behind three of the four other Ohio Valley Conference teams competing. Clarksville, TN – Two dangerous opponents await Austin Peay State University’s volleyball team as they return to Ohio Valley Conference play, Friday and Saturday. The Lady Govs will travel to Tennessee Tech for a 7:00pm, Friday contest before visiting defending OVC champion Jacksonville State in a 2:00pm, Saturday match. Both matches can be seen on OVCSports.tv, the league’s live streaming video site. 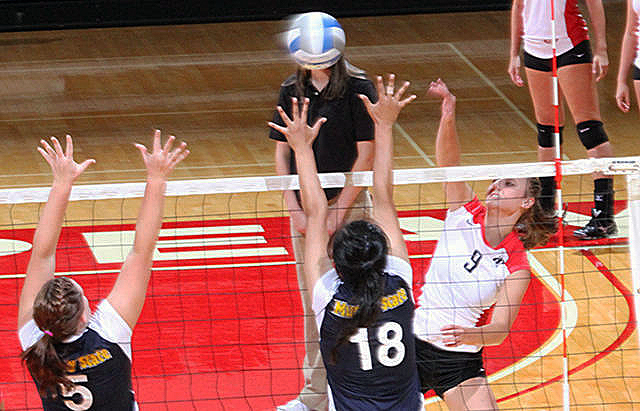 Austin Peay (11-2, 2-0 OVC) will look to bounce back from a three-set loss to Lipscomb, Tuesday, in Clarksville. It was the Lady Govs first loss since losing to Mississippi State, August 27th – the season’s first day. Austin Peay’s offense had a particularly bad night, as Lipscomb held it to a season-low .114 attack percentage. Sophomore Nikki Doyle, the OVC “Offensive Player of the Week,” led the Lady Govs with 10 kills. Clarksville, TN – Austin Peay State University men’s tennis came away with strong results, especially in doubles, at the Louisville Invitational, September 17th-19th. 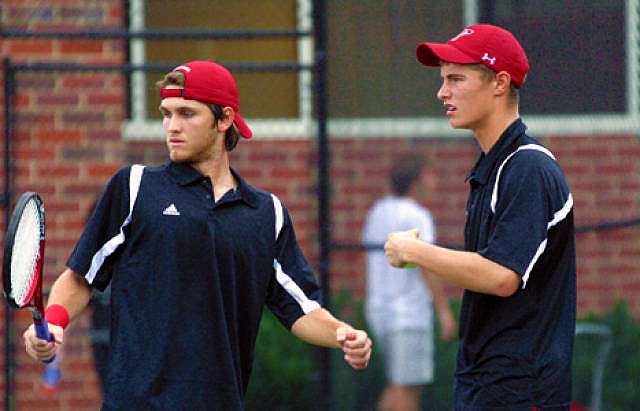 In main draw doubles action, two teams made it to the quarterfinals. Sean Bailey and Henrique Norbiato – the Govs No. 1 doubles team in the spring – picked up a win against Murray State’s Luka Milicevic and Renaldo Demoney. Two newcomers, Remi Calleja and Jasmin Ademovic won their opening match against Wright State’s Brian Dredge and Riyad Bennoui.